Noted as one of the most luxurious ski-in, ski-out complexes, One Ski Hill Place is situated at the base of Peak 8. Owned and operated by Vail, One Ski Hill Place is a “Rock Resort” specializing in modern mountain comfort, high-end finishes and intimate personal touches. Guests and owners get that sudden sense of luxurious mountain living the instant they walk through this extravagant resort. From an Aquatics Center to a state of the art private bowling alley, fitness facility and rejuvenation center to gourmet dining as well as 24/7 front desk services and daily concierge, there is always a friendly face to welcome you back home. Not to mention homeowners at One Ski Hill Place are exclusive members at the One Club, a membership designed for owners and their families only. The exclusive amenities of this club include: dedicated owner’s concierge, private owner’s lounge, private kids’ zone, ski valet services, express check-in, daily complimentary breakfast (during ski season), express valet car services, first tracks events, exclusive VIP access to Breckenridge mountain events and weekly après ski (during ski season). One Ski Hill Place is the one place you and your family will enjoy for generations to come. Getting out on the slopes is as easy as stepping out your front door. If you want to visit the delightful town of Breckenridge, just jump on the Gondola or call for a private shuttle! Door-to-door convenience is just a call away for your late night evening or early morning transportation needs. Need to rent skis or snowboards? You don’t need to take a trip to town for that! Visit the in-house rental shop for all your mountain equipment needs. As a homeowner at One Ski Hill Place in Breckenridge, you have access to everything the town of Breckenridge has to offer at your fingertips! World-class dining and cuisine, pubs, shops and boutiques line the historical main street of Breckenridge. Relax at the many spas located throughout town or grab a drink at the many après ski stops. Enjoy theatrical productions located at the Backstage Theatre in the Breckenridge Arts District or a concert at the Riverwalk Center. 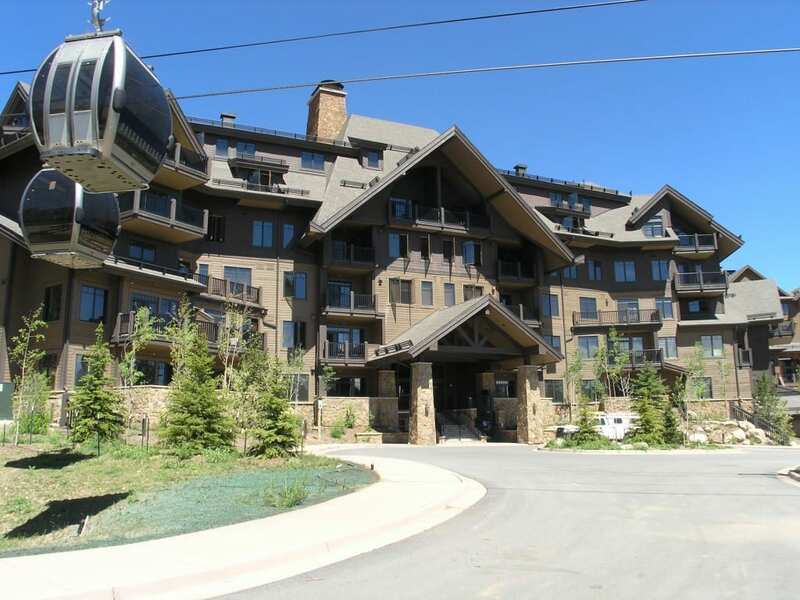 Make One Ski Hill Place in Breckenridge your mountain residence today! If you would like more information about this exclusive resort, the professional team of brokers at Real Estate of the Summit will be more than happy to assist you with all your Summit County real estate needs. Call our office at 970-453-1450 or fill out the contact form below and we will get in touch with you.